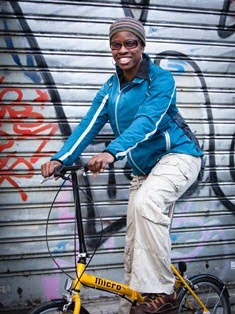 2Wheel Chick: Kit review: Stand out in style at night with Monkeysee! Kit review: Stand out in style at night with Monkeysee! Night-time may be getting slightly shorter, but for many of us it is still dark at going-home time. So getting yourself seen at night while on the bike is just as important as before. 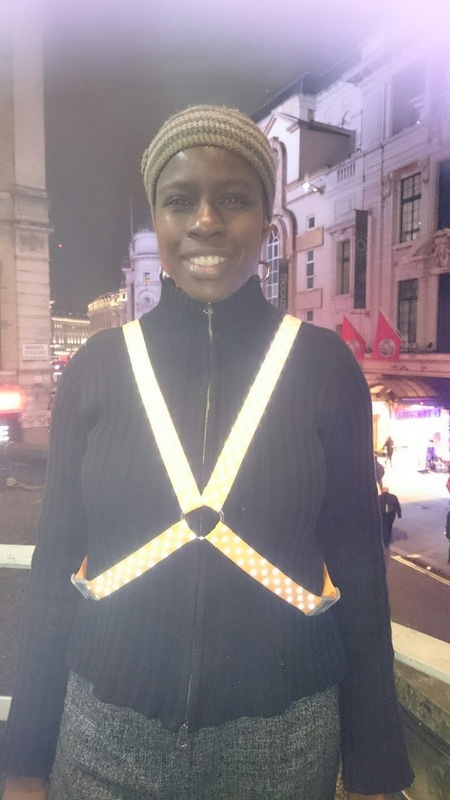 Monkeysee sent me these jazzy high visibility harnesses to test out. Personally, I find these really useful because it means you can still wear whatever clothing you want - civvies, your favourite jersey or jacket - without having to think about how bright your clothing is. With these type of harnesses you can be seen at night, without sacrificing style. The harnesses are easy to clip on and clip off, and come in different sizes from small to large. Just carry one in your bag, and clip it on as needed. 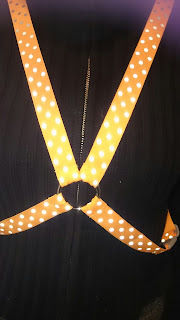 I chose a zany orange harness with high vis reflective dots on, which I found really stood out in the dark. If orange isn't your bag there are various other colours and designs in the range. Here are some rough and ready pics taken of me standing on the balcony where I work, but there are some better photos here on the Monkeysee website.